Showings start 4/13. If you are looking for a updated older home, this is the one for you! 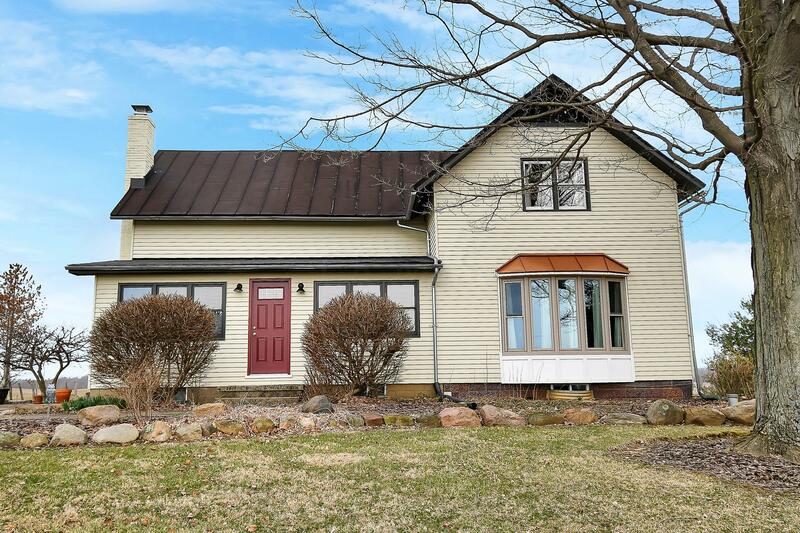 Built in 1901, this home sits on over 4 acres with a 2 car attached garage.The main floor features living rm w/bay window, spacious eat in kitchen, first floor master, full bath and nice first floor sun room.2 large bedrooms, walk in closet and full bath up. Lots of beautiful hardwood floors thru out.Basement has finished rec rm w/electric fireplace insert, utility rm and handy garage entrance.Many updates thru out, including some new windows, all new kitchen appliances. new water softener, new well pump & new water heater.20' x 28' storage shed, nicely landscaped lot, mature trees, established flower beds and pine forest on east edge of lot.